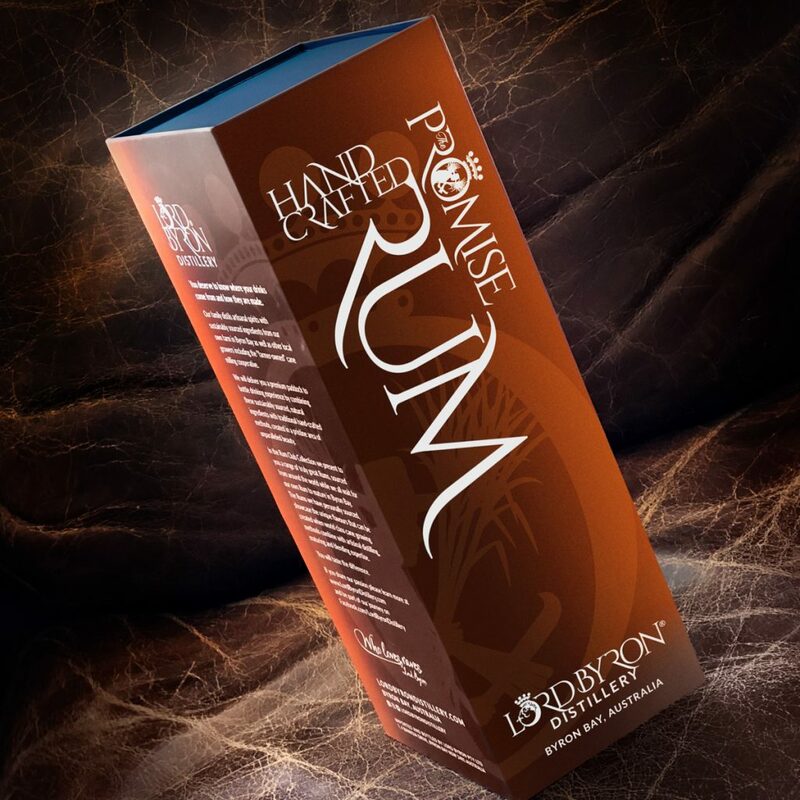 You’ve been asking for a sneak peak… here it is – our first draft of The Promise Aged Rum packaging. Our family started Lord Byron Distillery in Byron Bay so we could distil artisanal spirits for the discerning consumer from ingredients sourced from our own family farm and other local growers. Produced with the dedication, care and passion of a bygone era, combining sustainability with provenance – we create an authentic handcrafted product of distinction for us all to share and enjoy. While our own Rums are maturing in the Lord Byron Distillery we searched every corner of the world to bring you exceptional quality, premium Rums, creating our own Club Collection to showcase how truly great Rum can be – with “The Promise” of amazing things to come. These Rums are a result of care, patience and expertise. Their unique flavours derive from best practice cane growing, harvesting and milling techniques as well as respect for and mastery of artisanal distilling, maturation and blending methods. These exceptional Rums deliver a unique drinking experience. We know you’ll taste the difference. Development of our online store is underway – exciting times. Supercasks from a superman Lord Byron Distillery welcomed Bill Lark, the Godfather of Australian Spirits.